I’m talking about souffle pancakes, of course. What were you thinking? 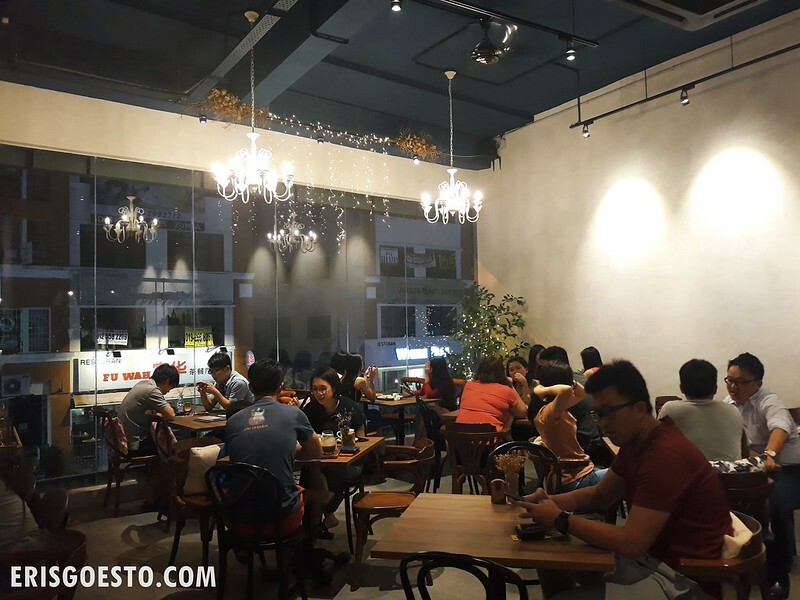 S and I were on the prowl for desserts on a Friday night, and he suggested we check out a new spot called Souffle Dessert Cafe in Bandar Puchong Jaya. 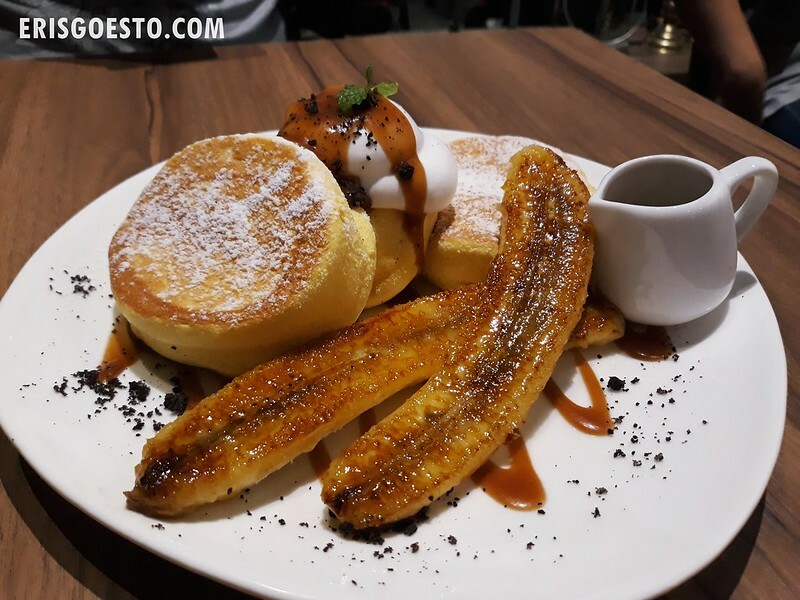 Tucked on the second floor of a commercial shoplot, the place specialises in serving souffle pancakes – a delightful cross between a souffle and a pancake – which is all the rage now in Japan. 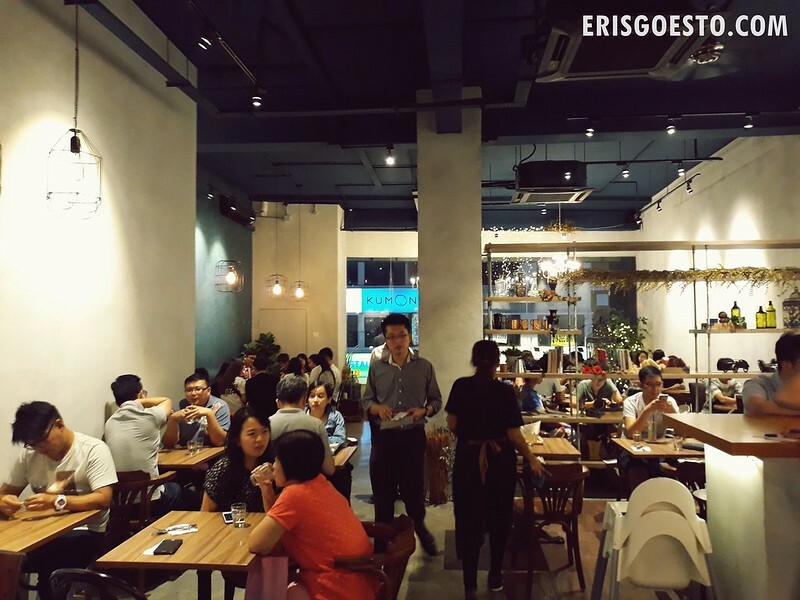 Judging by the crowd, the hype has certainly reached Malaysian shores. Cosy, but enclosed space made it extremely noisy. Not a place to ‘chill’ per se. 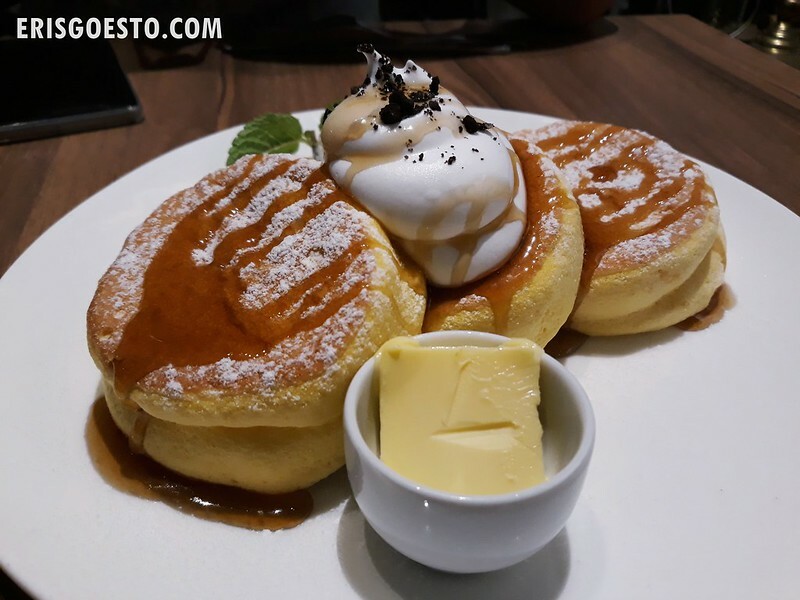 What makes a pancake souffle different from regular pancakes? Well, the batter adds meringue, which gives it a soft, souffle-like texture that is light and airy. Choose from several types, such as mango, strawberry, chocolate, green tea and more. S went for the Caramel Banana. 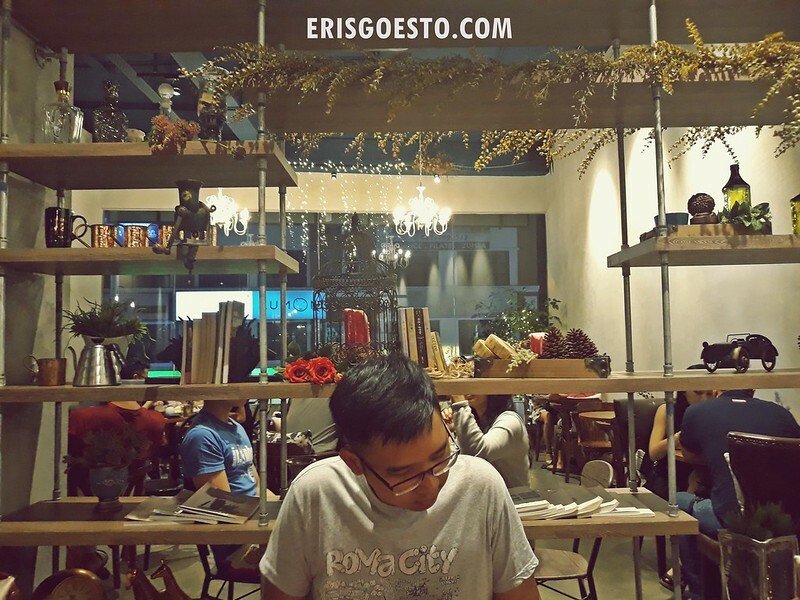 Because the pancakes are made to order, expect a waiting time between 20-30 minutes; longer if there’s a big crowd. When the dish was finally presented to our table, we legit went “Oooh” because it was so pretty. 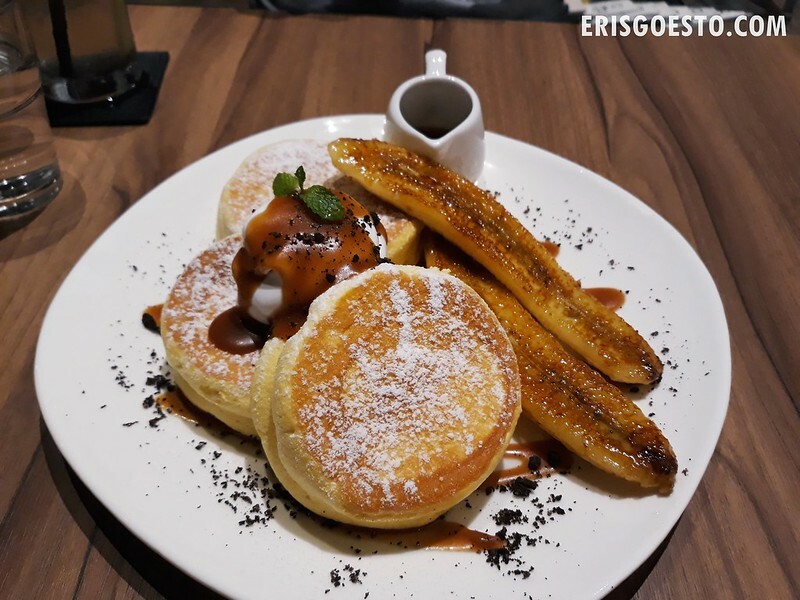 The pancakes were lightly dusted with frosted sugar, topped with a dollop of whipped cream and drizzled over with caramel sauce, served with a side of golden syrup and caramelised banana that glistened under the lights. 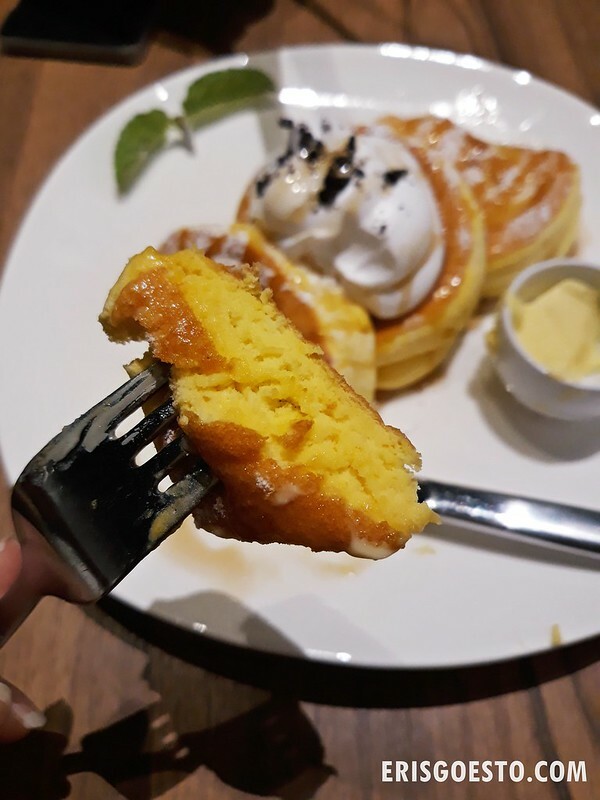 The fluffiness of the souffle pancakes was unparalleled – it was like biting into a soft cloud. Everything on the plate came together really well and was not too sweet; an excellent dessert. 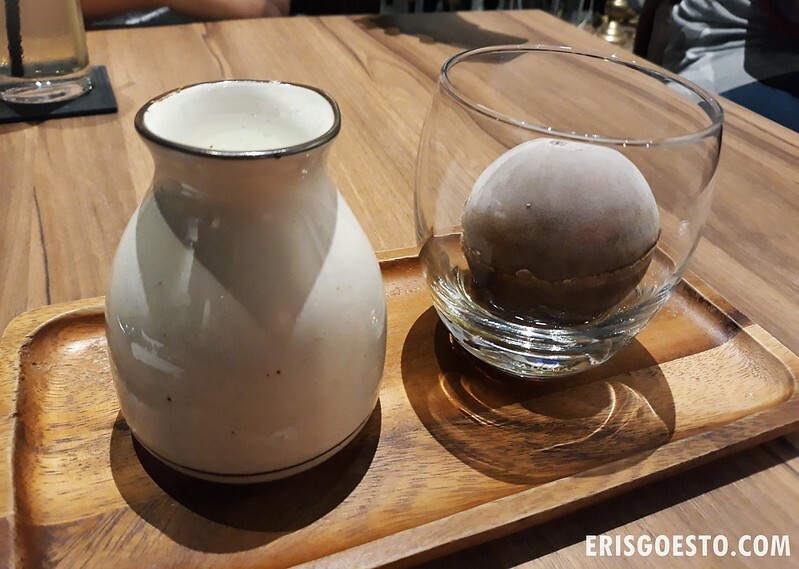 To wash it down: the cafe’s signature ice ball latte; a whole coffee-infused ice ball served with warm milk. That way your drink isn’t diluted by ice and you get the whole flavours. Service: Expect a long wait because they prepare the pancakes to order.